The Hot Tone Music label was founded in 2009 in order to provide support for jazz artists--very much including women--who may have been overlooked and who need additional opportunities to advance their careers and their music. In line with their mission, Hot Tone puts the spotlight on three outstanding female instrumentalists and bandleaders with the simultaneous release, on Feb. 4, of new CDs by Mimi Jones, Camille Thurman, and Shirazette Tinnin. Hot Tone Music recording artists Camille Thurman, Mimi Jones, and Shirazette Tinnin. Women have come a long way but are still a minority in jazz, so we've formed a network of sorts where we can call on each other for support and recommendations. 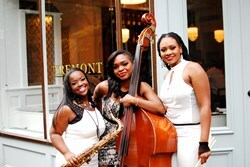 The simultaneous release on February 4 of new Hot Tone Music CDs by Mimi Jones ("Balance"), saxophonist Camille Thurman ("Origins"), and drummer Shirazette Tinnin ("Humility: Purity of My Soul") places the label at the forefront of bringing recognition to the increasing prominence of world-class female musicians in the jazz arena. “Hot Tone Music was created to give chances to those who may have been overlooked and denied the necessary support and knowledge to develop,” says bassist Jones, who founded the label in 2009. “Women are a big part of that group, and so I always look out for them. Women have come a long way but are still a minority in jazz, so we’ve formed a network of sorts where we can call on each other for support and recommendations. Jones, Thurman, and Tinnin had already established impressive track records as instrumentalists, vocalists, composers, and bandleaders. The three women make appearances on each other’s Hot Tone CDs and also call on the services of top players such as Ingrid Jensen, Luis Perdomo, Enoch Smith Jr., and Justin Faulkner (Jones); Corcoran Holt, Rudy Royston, and Brandee Younger (Thurman); and Rachel Eckroth, Willerm Delisfort, and Tia Fuller (Tinnin). Genre-blending is a hallmark of Mimi Jones’s music—on both her 2009 debut "A New Day" and her brand-new "Balance." The disc features seven of her own compositions, one by band member Marvin Sewell, and striking arrangements of tunes by Adele (“Someone Like You”), Roy Ayers (“Everybody Loves the Sunshine”), and Bob Dorough (“Nothing Like You”) as well as the children’s favorite “The Incy Wincy Spider.” She plays acoustic bass on nine tracks and electric bass on three and sings on six (Jones added singing to her bass playing seven years ago). Born in New York City (in 1972) and raised in the Bronx, Mimi attended Fiorello LaGuardia High School and earned a B.A. in music at the Manhattan School of Music Conservatory. She missed her graduation, however, because she’d been hired to tour Japan with saxophonist Masa Wada and drummer Denis Charles. It was the first of numerous overseas tours that would take her to Africa, Europe, Asia, and the Americas, some under the auspices of the U.S. State Department. In addition to leading her own groups, Jones has worked with jazz artists including Kenny Barron, Joanne Brackeen, Terri Lyne Carrington (who chose Jones to play on her Grammy-winning "The Mosaic Project"), Ravi Coltrane, Lizz Wright, Lionel Hampton, Roy Hargrove, and many more. On her "Origins" CD, Camille Thurman performs 11 original compositions, plus one apiece by Fats Waller (“Jitterbug Waltz”) and Saul Chaplin/Sammy Cahn (“Please Be Kind”). Thurman has major chops on all four of her instruments—tenor and soprano saxophone, flute, and voice—and an abundance of imagination to go along with them. She’s also an outstanding writer, two of whose tunes, “In Duetime” and “Origins”—both on the new CD—were recognized by the ASCAP Foundation with Herb Alpert Young Jazz Composer awards, in 2012 and 2013 respectively. Thurman was born in St. Albans, Queens, NY in 1986 and was introduced by her mother early on to the great vocal artists. She began playing flute at age 12, alto saxophone at 13, and switched to tenor at 14 after hearing Dexter Gordon. She went on to earn a B.A. in Geological and Environmental Sciences from Binghamton University before deciding to become a full-time musician. Currently a member of Jones’s group and the leader of her own quartet, Thurman has worked in the big bands of Charli Persip, Nicholas Payton, and DIVA; recorded with Dianne Reeves on her upcoming "Beautiful Life" CD; is in the all-star house band on BET’s “Black Girls Rock” award show; and was the second runner-up for a Sassy Award in last month’s Sarah Vaughan International Vocal Competition. Drummer Shirazette Tinnin debuts on "Humility: Purity of My Soul," working with her band, the Shirazette Experiment: pianists Willerm Delisfort and Rachel Eckroth, guitarist Seth Johnson, bassist Tom DiCarlo, and singing tenor saxophonist Camille Thurman. Seven of her compositions are included, along with arrangements of songs by Eddie Harris (“Freedom Jazz Dance”) and McCoy Tyner (“Passion Dance”). Tia Fuller, in whose band Shirazette has played for the past three years, and the Angolan vocalist Afrikkanitha make guest appearances on the new disc. Shirazette was born in Chapel Hill, NC in 1979, the daughter of gospel singers who performed up and down the East Coast. After getting her B.A. in Music Industry Studies at Appalachian State University, she studied at Northern Illinois University, earning her master’s in music. Tinnin worked and recorded with flutist Nicole Mitchell and, at a jazz festival, met trumpeter Gabriel Alegría, who invited her to come to New York (in 2009) and join his Afro-Peruvian Sextet, with whom she has recorded and regularly toured in the U.S. and Peru. Tinnin also reconnected in New York with Mimi Jones, whom she had met a decade earlier in North Carolina. She has organized several bands over the years, including Imani 7. When she’s not playing music, Shirazette works as a personal trainer. Mimi Jones, Camille Thurman, and Shirazette Tinnin will be performing together at APAP, New York on Jan. 12 (DROM, 85 Avenue A bet. 5th/6th); and with their respective bands at the Hot Tone Music CD release show scheduled for Tuesday, Feb. 4, 7:00 pm, Le Poisson Rouge, 158 Bleecker Street, New York. 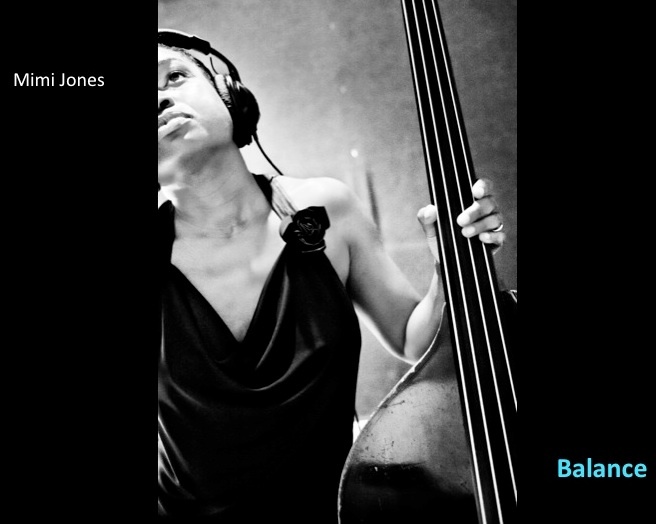 "Balance," the new Hot Tone Music CD by bassist Mimi Jones. 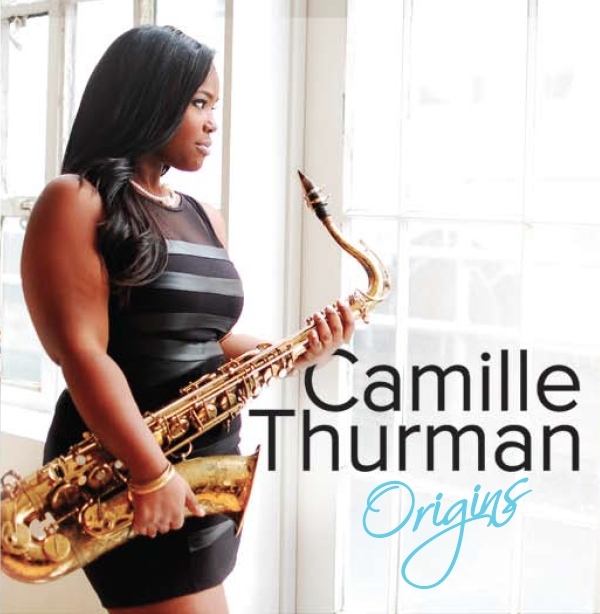 Saxophonist and vocalist Camille Thurman debuts on Hot Tone Music with "Origins." 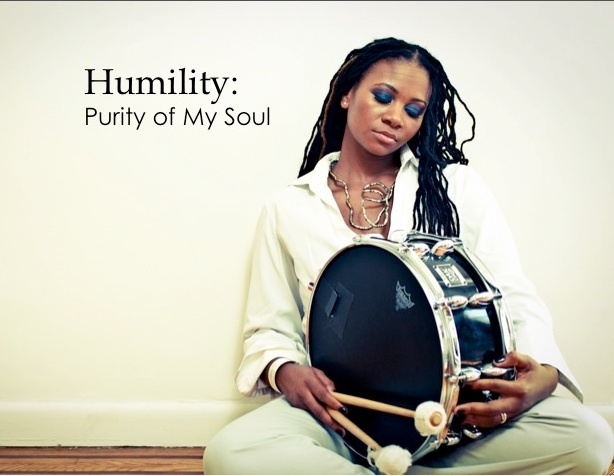 Drummer Shirazette Tinnin debuts with "Humility: Purity of My Soul" on Hot Tone Music.